Eight state ministers and ten deputy ministers were sworn in this morning as part of the promised ‘scientific reshuffling of the cabinet of ministers’. Accordingly Lakshman Senewiratne (UPFA) was appointed as the State Minister of Public Administration and Management, and Law while Mohan Lal Grero was made the State Minister of Higher Education and Cultural Affairs. Other appointments are as follows: A.D. Champika Premadasa (Plantation Industries), Sriyani Wijewickrama (Sports, Provincial Councils and Local Government), Weerakumara Dissanayake (Mahaweli Development), Palitha Range Bandara (Irrigation and Water Resources Management, and Disaster Management), Dilip Wedaarachchi (Fisheries and Aquatic Resources Development, and Rural Economy), M.L.A.M. Hizbullah (Highways and Road Development). Meanwhile Ameer Ali Shihabdeen was appointed as the Deputy Minister of Fisheries and Aquatic Resources Development and Rural Economy while Dinesh Gankanda was appointed as the Deputy Minister of Lands and Parliamentary Reforms. Ranjan Ramanayake who was earlier the Deputy Minister of Social Empowerment, Welfare and Kandyan Heritage, was appointed as the Deputy Minister of Social Empowerment. 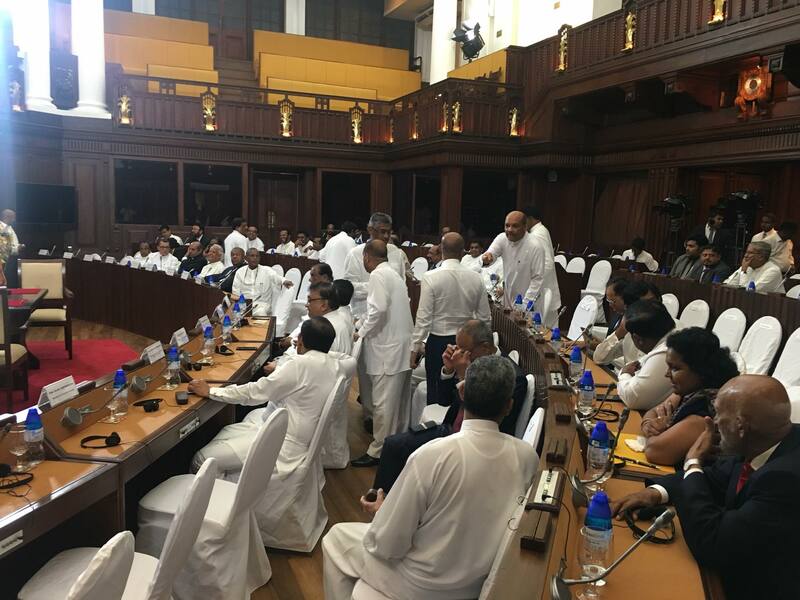 President Maithripala Sirisena, prior to the swearing-in of new ministers, state ministers and deputy ministers, vowed that the reshuffle would be done ‘scientifically’. Yesterday 18 new ministers were sworn in while others retained their portfolios. The ‘vacancies’ were created when 16 SLFP ministers decided to cross ranks and join the Parliamentary Opposition. « UNP Changes – Band-Aids Or A Surgery?